Who’s ready to send their kids back to school already? I’m shocked at how quickly this summer has flown by and can’t believe that it’s already time to start prepping for back to school! I know that once we get into the swing of all things school that things are going to be hectic and crazy. I feel like our days are already flying by and most evenings I’m whipping together a quick dinner last minute, so I imagine that adding the weekday school hustle is going to make things even tougher. To make things simpler this fall, I’m beginning to put together a master list of all my favorite simple and easy recipes for quick weeknight dinners. I don’t want to constantly have the temptation of going out to eat or picking up drive-thru, especially as we’ve been working hard to stay consistent with eating healthier, more nutritious meals. 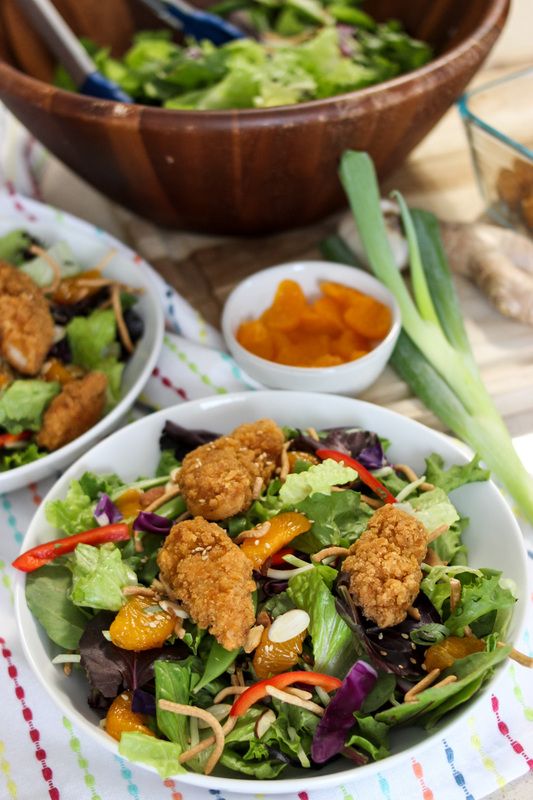 One of my favorite meals to quickly make when short on time is Chinese Crispy Chicken Salad. 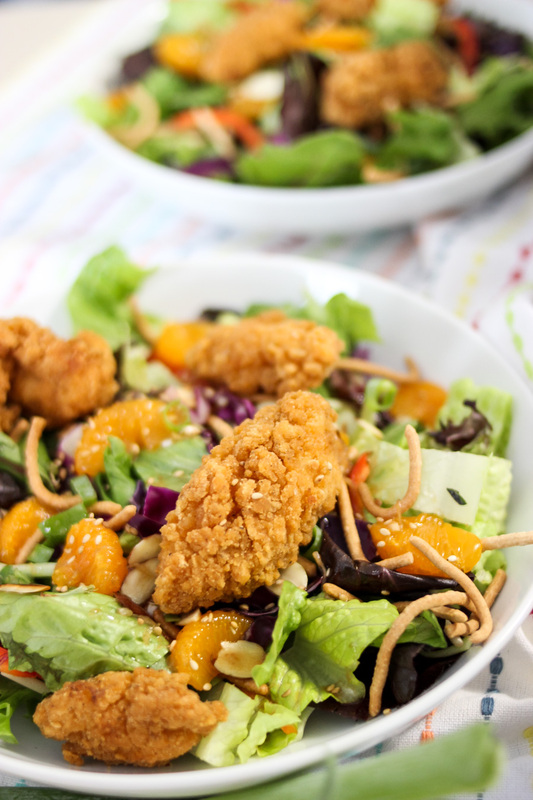 This salad has it all: Tyson® Crispy Chicken Strips, fresh veggies, sweet mandarins, topped with crunchy chow mein noodles, and a simple dressing that ties all aspects of this salad together with a variety of flavors and textures. The best part is that it only takes less than 20 minutes to make (even less if you have everything prepared earlier in the week). It’s about as low key as you can get, which is a must after a long day. 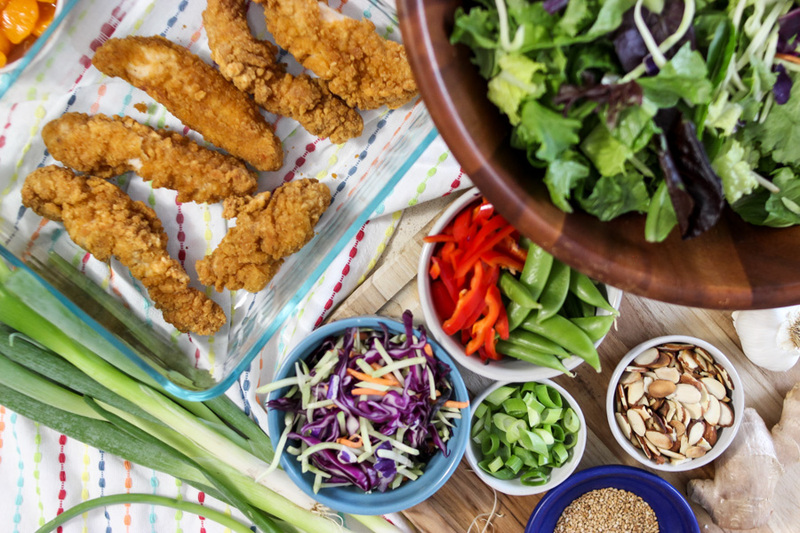 To simplify, I reach for Tyson Crispy Chicken Strips, as everyone in the family loves them and they are perfect for weeknight meals (yay for no prep work or defrosting!). I can easily bake them in the oven and put together the rest of dinner while they finish baking. 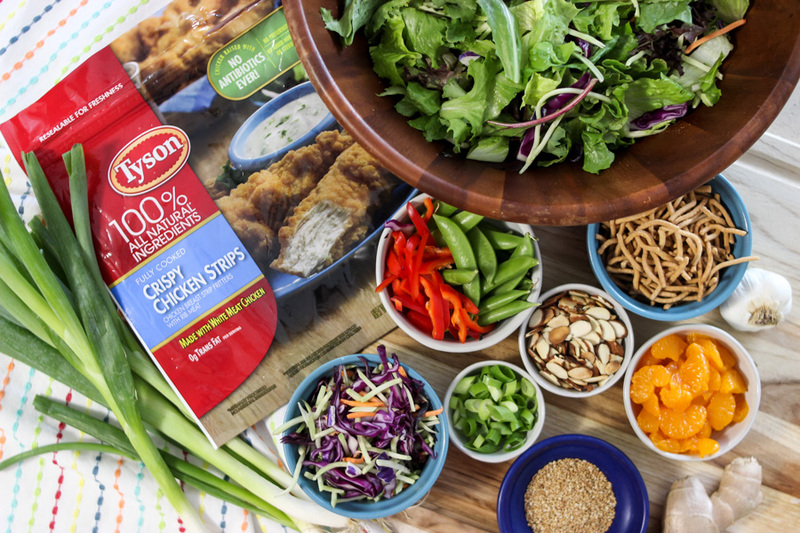 I love the ease of using Tyson Crispy Chicken Strips, especially as they take only 18 minutes to cook in the oven. 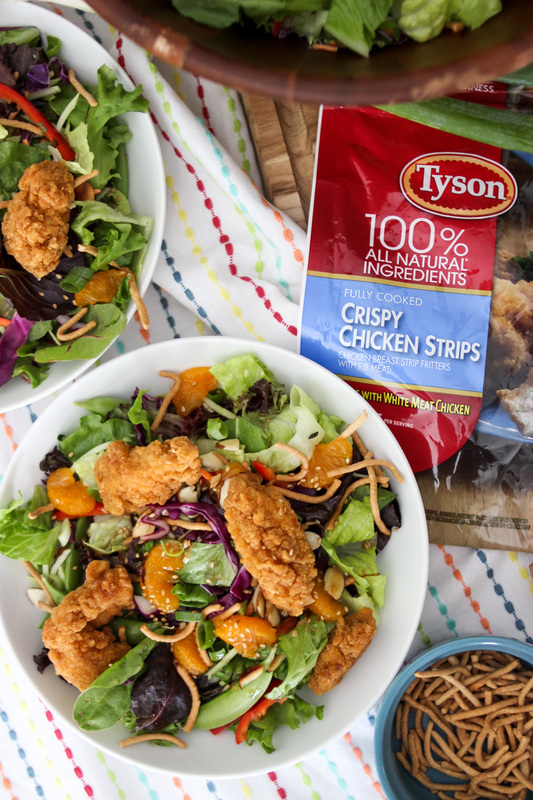 Tyson Strips are made with all-natural, minimally processed chicken raised with no antibiotics ever and no added hormones or steroids and loaded with 13 grams of protein per serving. Convenience and quality food is a must for my family and Tyson Chicken Strips check both those boxes. 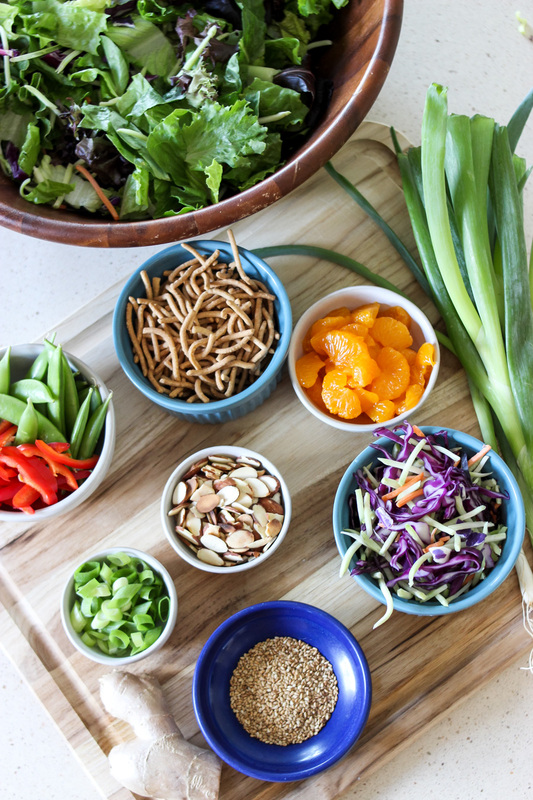 I’ve found over time that the more colorful and interesting the salad is, the more likely my kids will be interested in it. 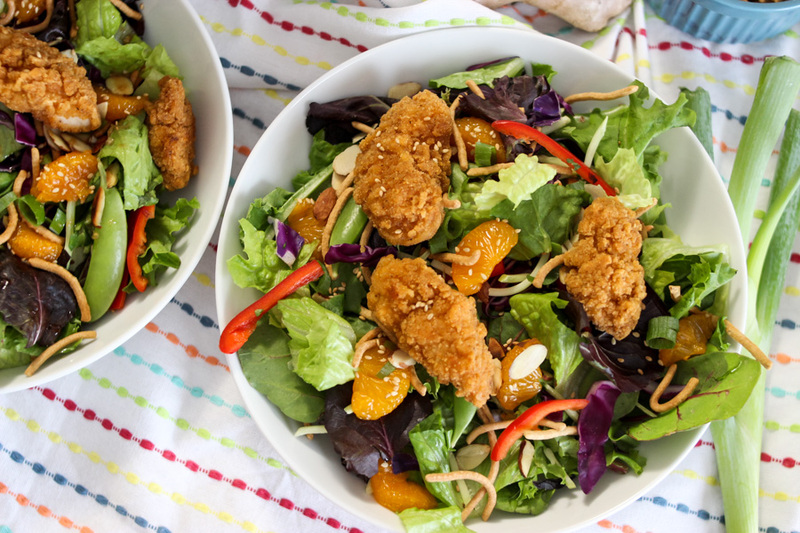 My kids LOVE the mandarins and crunchy chow mein in this salad and the slightly sweet and nutty dressing makes everyone want to gobble it down. 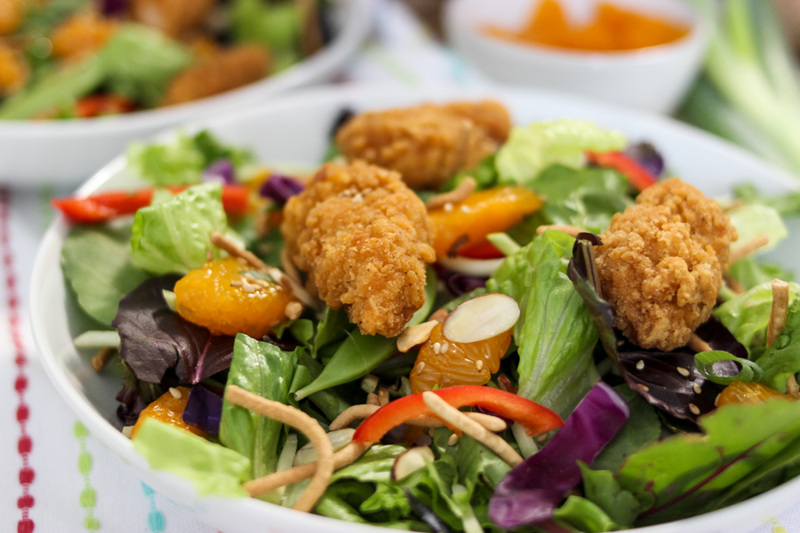 If your kids are picky eaters, then it’s easy to modify this salad and pick and choose which ingredients they will enjoy. Teen Titans Go! To the Movies (keep an eye on my Instagram for more info) and a great promotion with Shopkick! If you use Shopkick, shoppers can earn up to 400 kicks (100 per product – Tyson Chicken Nuggets or Strips, Hillshire Farm® Lunchmeats, State Fair® Corn Dogs, and Jimmy Dean® Frozen Breakfast) that can be redeemed for gift cards or Fandango movie tickets. 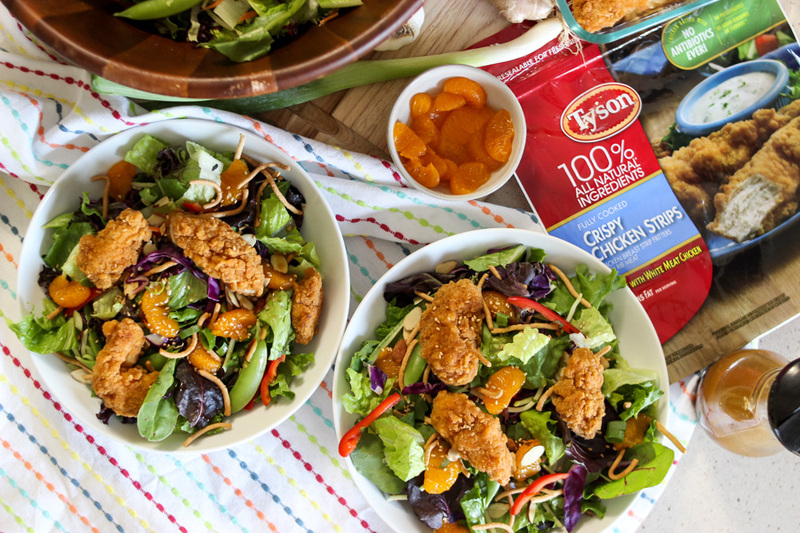 Make sure to pick up Tyson Crispy Chicken Strips on your next Walmart run (and all the other yummy ingredients too) to make your back to school weeknights simple and delicious! What’s your favorite kind of salad? 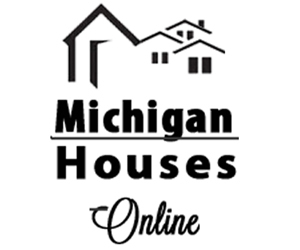 Are you ready for your kids to go back to school? What a great easy meal idea! Girl, this sounds DELICIOUS and OH so easy for a weeknight meal! 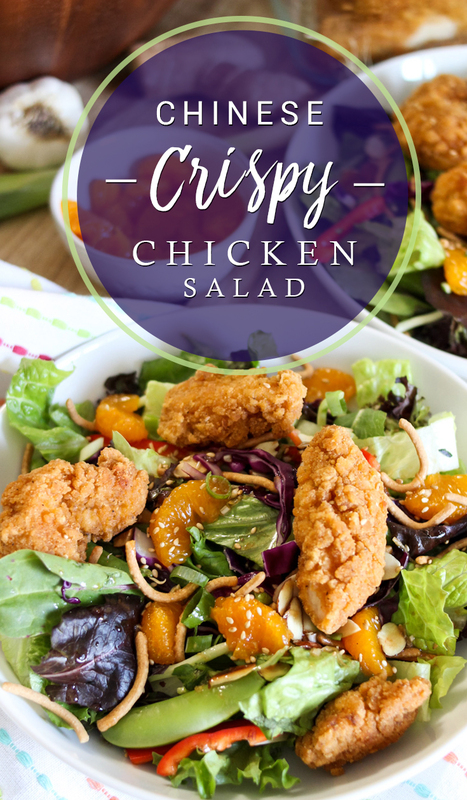 This salad looks so good and I love how easy it is to put together with that chicken! Pinning this for later.